There is a new world out there for you. It is a world of possibilities. Joy beyond belief and opportunity with no ceiling waits for all. Wallace Ungwiluk has come to brave a new world. Gambell, Alaska, population 700, Wallace has left this wonderful community to attend Spokane Community College, in a new home of nearly 500,000 people. Wallace often rides 8 miles on a bike to his English class. Wallace ordered a veggie burger expecting meat and lots of green vegetables. Laughter erupted around the table as he searched for some meat. No more veggie burgers for Wallace. His teammates are being introduced to whale meat his mother, Yuka, sends him. Wallace says his basketball teammates like it. In my 51 years of experience in Alaska, few young men have inspired me more than Wallace. Take time to listen to Wallace and think about the challenges he faces daily and about his Brave New World. Then begin to live your journey in your brave new world. No matter where we are, where we live, or what we do, there still is a brave new world out there for us. The question is, are we willing to go into this Brave New World and be a difference maker, a game changer? 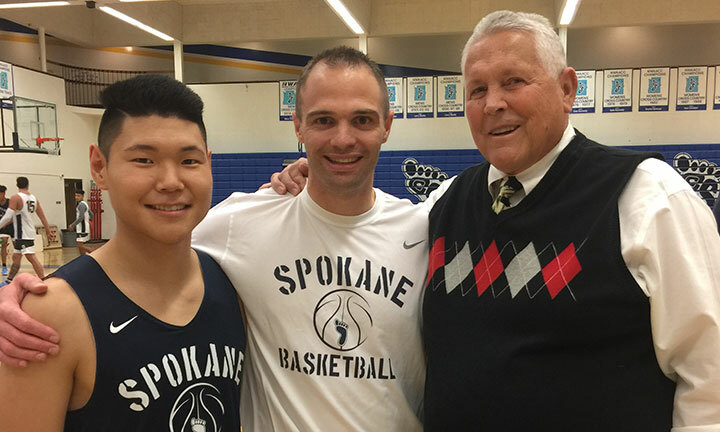 On the basketball court or in the village of Gambell and now in Spokane, Wallace is a game changer. Thank you, Wallace, for your example to all the youth of village Alaska. You are living proof there is a brave world out there for everyone. 2,000 years ago the Lord Jesus Christ created a brave new world for all of us. His death on the cross and His resurrection mean that all of us can have his power, his love, and his inspiration to experience a brave new world. Hello Brave New World. For some, it might mean restoring a marriage. For others ending an addiction. Getting out of the black box of depression; starting a new career. The list is endless and the task may be daunting. The rewards are miraculous. Let’s start now!